Being a blogger or an entrepreneur demands much of your time, efforts, and in extreme cases, your health as well. Whether you are making money with your blogs or working as a freelancer, the long working hours, though flexible, can make your health suffer badly. There are no second thoughts about the fact that blogging is turning into the most popular online business offering you the freedom of being employed, being your own boss, bringing you fame, respect, readership and of course-money. 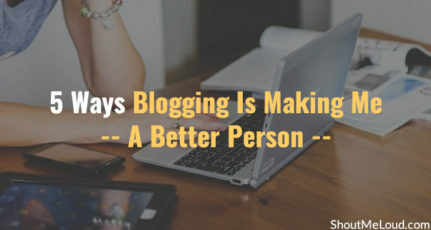 But again, to earn your livings through blogging, you need to be consistent and regular in writing the posts and interacting with your readers. According to a survey been conducted, it was found that the online money makers eespecially the bloggers make their health suffer due to their long exposure to computer screens, and sitting in same posture for hours and hours. Moreover, if you are professional blogger, you would know how disturbed the sleeping hours are for a blogger which really affects the health, making you tired and dizzy in general. 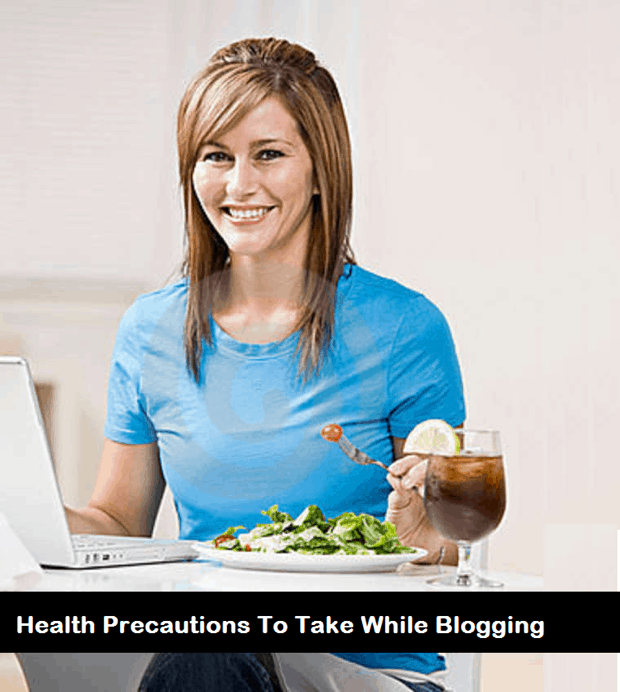 Here are 15 serious health precautions you must take while blogging to keep yourself healthy and smart, after all, you are special, not only for your friends and family but for thousands of readers who love following you! Anything done without a gap do not only degrades the performance but also make you ill. There are people I know who are working for about 9 hours a day, I being an example too, but it is really not healthy to work consecutively. Probably this is the only difference left in between human and machine today, apart from intelligence that human, in order to function properly needs a break and studies have shown that anything which has been done for more than 3 hours without a break is dangerous for your health. When you keep working while sitting in the same posture, working on your laptop or PC, is you are likely to have postural pains in neck, shoulders and spinal cord. Once you incur this pain, there are chances that it might reside forever. Try getting your hands on an easy chair or a couch that provides a support to your neck and back especially. This is a standard been prescribed by the doctors for people of all ages and this goes out pretty well for the bloggers and writers who make money for what they do online. It is a fact that money has its own charm and people do work day and night to enjoy better results but there shouldn’t be any compromise on 8 hours that one should dedicate himself for sleeping. I have nothing against people who works till late in the night, as they find it productive, but it causes serious social issues. As you will not be able to do all social activities in day-time, and you will be socially alone. Try to maintain a proper sleeping-time, and if you have problem sleeping, you can refer to this article for the tips. Are you a workaholic? No worries, work as much as you but how about playing it safe and managing things while enjoying a good health, good life and healthy routine? If you are working 6 hours a day, plan those 6 hours keeping in view other important moves of your day. Thanks to the new trend of energy drinks, people are falling for the prey and consuming chemicals just to keep themselves active. If you are a professional blogger and need to work daily then energy drinks won’t be helping you out as though make you active for a few hours or probably for a day, you are really dizzy and low the next day. Therefore, this way or the other, your work will be affected. It is highly recommended to intake fresh juices and water frequently for bloggers so that they stay fresh and focused naturally. Even though how hard you try, you can’t be a superman, right? If you have more work or busy schedules then you can always hire people who can do work on your behalf in return of a small share in your wealth. It is really a practical and preferred option of spending some dollars in return of favors and enjoying happy and healthy life in blogging. Being a professional blogger, I know how great it sounds to make money from your living room, but again, why to limit yourself to bedroom or living room only? You have portable gadgets these days, carry your laptop or tablets to parks or beaches and write there also. Fresh air and refreshing environment is a real need of life so never compromise your health for the sake of the title “working from home”. No! This title is now more valid now. Make money by working online from anywhere. Sounds better now! If you are an introvert type and don’t like going to cafes or library for working, you can always setup a home-office. 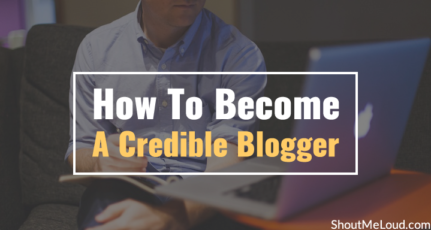 It is true that blogging is certainly not an easy thing to do, and if you are the sole owner of your empire, then things can be even tough. However, a healthy diet thrice a day will help you in keeping your active and focused in your work. Never skip lunches or dinners for writing your posts and publishing them. Start valuing yourself. Being a blogger doesn’t change the reality that you a family and formalities to meet. What happens is that when you have to go to attend functions, hangouts and family gatherings, the work load is doubled. You work like crazies and that spoils your health, your efficiency and your mood all in all, so it is better to save some draft posts whenever you are free to do so to publish them in such situations. Keep yourself relieved and enjoy life equally else the charm of making money online vanishes somehow. Be Social! Stay Social! This tip is for work from home bloggers and freelance writers. Never wait for the 11th hour to increase your miseries. Try scheduling your posts immediately you are done with your write-up because once you are done with scheduling, you can enjoy the freedom the rest of the day. If you are working on a client writing project, it will only take couple of minutes to proof-read and send the article. Why to wait and delay your work? A perfect online business is the one that keeps you relieved and do not tortures you like bosses normally do in real-world businesses. If you think you are feeling low today and do not have a draft saved, then that’s pretty ok, you can enjoy a leave and rest an entire day. Overburdening yourself is truly not a solution. Enjoy your work and keep yourself healthy. Ever thought how important eyes are? The world seems a beautiful place and the credit surely goes to this gift of God. While being associated with an online business, your eyes are at a high risk. Try wearing radiation protective glasses during your work hours to avoid eye damage. It is also recommended to buy a radiation protective screen for your LCD that also helps protecting your eyes against the radiations been transmitted by LCD screens. Laptops, though portable and trendy are injurious to your health if you work for hours over them. They transmit heat which can even cause skin cancers in worst cases. Moreover the typical keyboard is much easy and makes typing fast. As been stated many times in this post, you need to value yourself to keep everything well. Working for money and being obsessed is a great thing but again at what cost, that really matters. Meditate to ease the work tensions out. Therefore, make your life healthy and rich by taking the above 15 health precautions while blogging seriously. Do let me know what other healthy tips you follow to ensure you stay fit always? This is a guest post by Nida. If you would like to submit guest post at ShoutMeLoud, check our submission guidelines. Great article Nidazaidi! In fact, health should be the number one priority in any sector, even more important for online marketers. Sitting in front of the computer screen for hours make your body stiff, and you’re easily prone to obesity. Make sure you exercise for at least 30 minutes a day. You don’t have to do anything. Just taking a walk for 30 mins will compensate for your immobility throughout the day. Seriously ! These can be very dangerous while blogging. Though I don’t have any harmful effect till now for past 3 years, but I have gained extra fat eespecially around my Belly and Love Handles. We bloggers really have to work long hours sitting continuously in front of our computers or laptops. Anyways, thanks for sharing dear. Thanks for all these health tips, these are really helpful for me. I liked the point that you take for eye precautions. It should be taken by all the people who are actually works so long on their computer screen. I wants to add one point in this that do A pranayama called “Anulom vilom” it is really good for the health of eyes. Thank you so much for liking the efforts. It is so true that though we know it all, we often forget things and by the end of the day, it is only us who suffer! Thanks a lot for this appreciation. I hope this tiny effort will make at least some difference in the lives of people with whom I can truly identify. I am part time but some time i.e. holidays. I am also spend my time in writing post for 8 hours a day.But i am now start taking some rest of 10 minutes after 30 minutes.This also increases my productivity and reduce back pain. This is yet another a good way to avoid health issues. i was also having problem working as a part time blogger,after reading this post i will try my best to schedule everything perfectly,thanks for the post.